The Nintendo Switch portable game system was released on March 3, 2017. If you wanted a Switch but did not pre-order one, or wait on some dorky early morning line, odds are you did not get one. If you were just an average chump, someone not exactly right on top of the preorder trends of the millisecond, or perhaps just a grandparent looking to grab a gift for a millennial, you would likely be out of luck. Everywhere you turn or toss a Red Bull you’ll hear how gaming is big business. According to SuperData Research, gaming revenues for 2016 were expected to hit $91 billion. This figure includes games for mobile devices, home computers and consoles all mashed together. That’s a huge figure. According to Variety, the film industry topped off at $38.6 billion for 2016. Also a big number but gaming, clearly, is the big cheese. You’d never know this though, judging from the limited availability of the Nintendo Switch. It feels like Nintendo is a new upstart just getting going on Kickstarter. 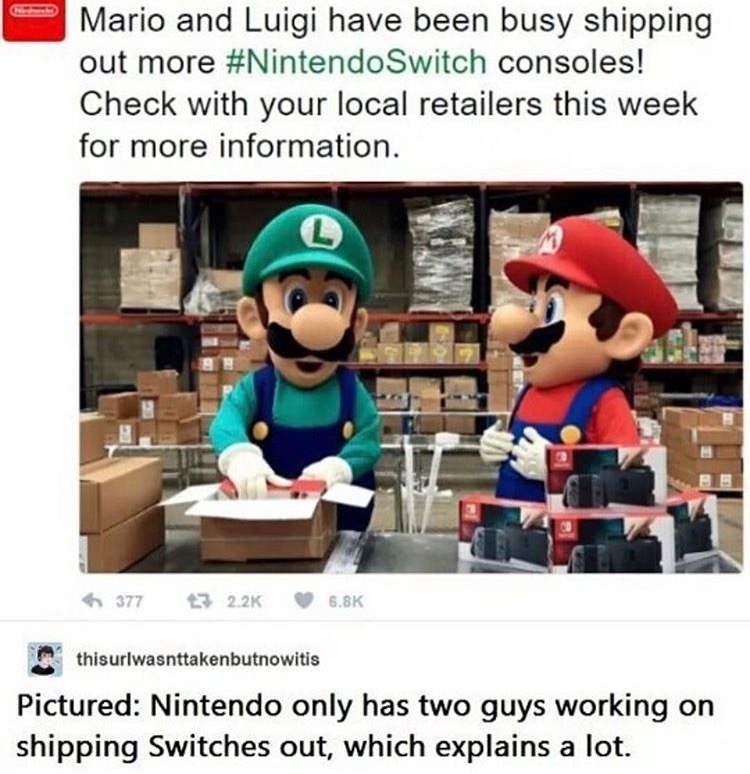 The Switch is—big shock—in high demand. The term 'high demand' is deceptive now. 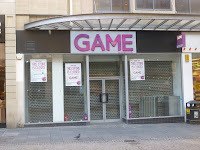 Once the preorder mavericks got their consoles and the new Legend of Zelda game, the shelves on all the stores were bare. There were only a couple of dates, (less than 5 that I have been able to discern) where times in the early AM when waiting, running, and exhibiting anxiously panicked behavior might have gotten you a Switch. There was no other way to get it. Sure…it is true that you could pay premium prices from nerdballs online who bought a dozen of them and then marked them up for EBay glory. But aside from that, I have yet to walk into Best Buy, Target, GameStop, or Wal Mart and see a Switch on a shelf, you know, just sitting there in stock, waiting, patiently, like Woody from Toy Story, for someone to come along and buy it and take it home. 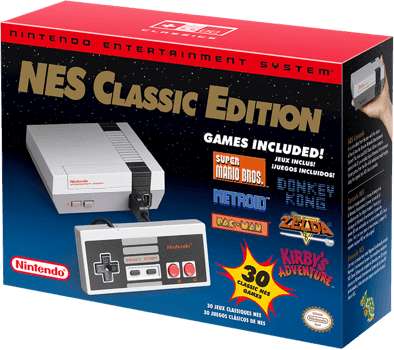 Another Nintendo product worth briefly touching on is the NES classic that was released in the months before Christmas 2016. The $60 retro system plays 30 classic games. No one has this system. Not me. Not my son. Not any of my sons friends. And none of my friends including many who work in the video game industry. A $60 system likely costs around $10-$20 to manufacture. Similar retro Atari, Sega, and Intellivision systems are all plentiful and easy to find. Nintendo still maintains a webpage for this non-existent system. 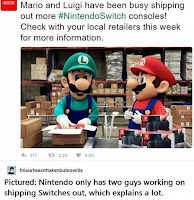 If I did not know better I would guess Nintendo was acting against its own best interest. Either that, or they are just messing with their fan base. The demand was, and still is, very high for this system. It’s arguably the only retro system anyone cares about, but the only one that can not be found. Maybe Nintendo simply does not have enough funds to manufacture on a scale equal to demand. Who knows? Why merchandise that is in demand is not available is anyone’s guess. Limited edition runs of things that excite many only serve to embolden the arrogant few who always seem to gobble up more than their fair share for EBay and Amazon markup regurgitation. 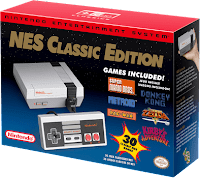 The NES Classic was supposed to be a stocking stuffer. For who exactly? No one could find it. According to Time, Nintendo wanted to manufacture about eight million Switch consoles but doubled that to sixteen million. I know there is a number, somewhere, where all the people that want Switches will have them. Then the rest of the population might get to decide if they want one too. We have not hit that point yet. Why? Nintendo did not know how high the demand would be…with their new hybrid home/portable console…the one that was launched with the best Zelda game since Ocarina of Time. Forgive me if I don't believe this. I know sometimes in the next few months there will come a time when the number of consoles produced exceeds the fanatics and then you will finally be able to walk into a Target and see a Switch sitting on a shelf waiting to be purchased. Then all the EBay and third party Amazon prices will nosedive. Until then, my advice is to not bother running around like you were playing a game of freeze tag. I know. I did this and it was awful. First go the high marks for people working at Target, Best Buy, Toys R Us, and Wal Mart. Everyone I spoke to at these stores was friendly and helpful. Someone at Toys R Us even gave me a heads up that on March 25th I might be able to grab one if I waited outside a store early. I did not get one on the 25th. No biggie. Now on to GameStop. 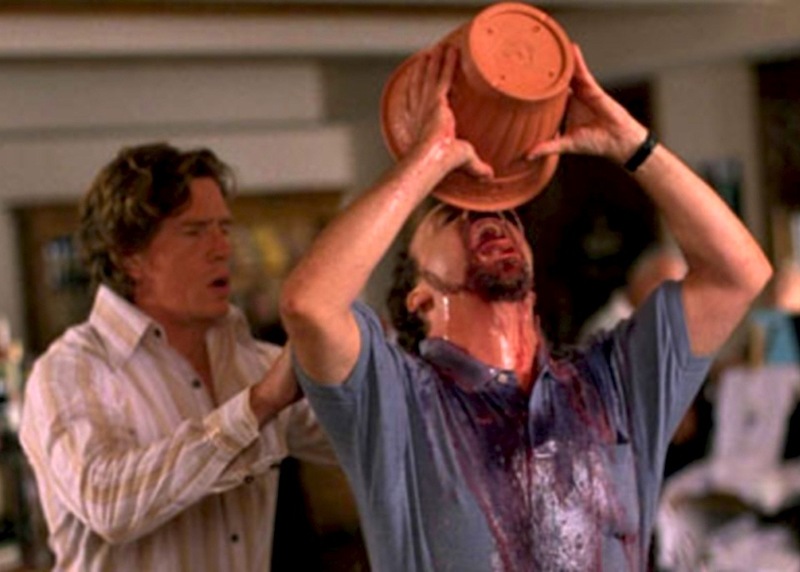 If arrogance were a drink, GameStop would need help for their drinking problem with it. They seem to drink from a giant cauldron of arrogance. The conversations, interactions, and glances I’ve had with GameStop employees still baffles me. I know the company likely makes the employees say and pitch all sorts of stuff. I wonder if they make them behave arrogantly too? For sure, not every employee there is a douche. It's well above 50% though, from what I've experienced. I’d go in and ask simply, “Hi. Do you have any Nintedo Switch consoles in stock?” Queue the smug, complacent, egotistical, pompous, self-righteous, self-satisfied, conceited, holier-than-thou, priggish, snobbish, stuck-up, stuffy, superior, vain, stock response and looks. “Ha. GOOD LUCK!” was the typical syntax and always accompanied by smirks, grins and visible disdainful head shakes. Then followed by the hard sell to pre-order a massive pile of gaming extras in order to get a Switch. My opinion is that a successful company would not force a bundle on anyone. Bundles are money grabs to sell junk that have higher margins than the systems. Stuff bundled is stuff that would not move as well otherwise. 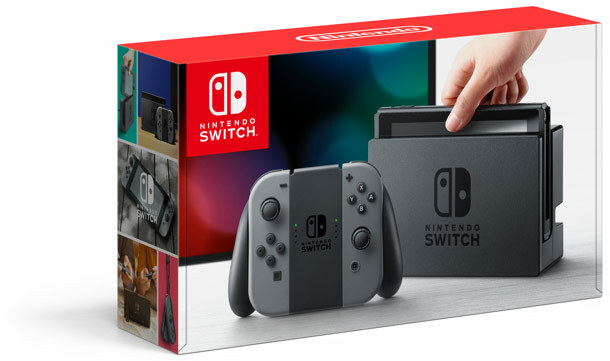 I suspect the Switch will be available in the next few months and these bundles are just a temporary way to boost sales of extra crap to anxious people. Here is a IGN group with a sort of middle of the road, non-controversial take on this bundle BS. GameStop does not hold any cards. No one has to shop there. Ever. Period. I don't care what they are selling. I suggest not buying bundles unless you want every single last item included. Even then, the extras are just there to confuse you into paying more. Don't be confused by maps, CDs, and extra game content. If everyone demanded all this junk always be included or we'd never buy the games, believe me, it'd be in there. It's because we continue to acquiesce to less that they give us less and charge more and string us along for more and more junk, always on the hook like a Trainspotting junkie. A few other GameStop responses I got when I said I did not want to buy their pile-o-crap Switch bundle were: “Good luck. There are no Switches available anywhere for over 100 miles.” Or “This is the only way you will be able to get one. Period.” It was even suggested to me that it could be a whole year until I found one. LOL. I eventually was able to get a Switch at Best Buy on March 30th, but not before having GameStop turn me off to them way beyond what I ever assumed was possible. I had already been annoyed by their cluttered stores filled to the brim with useless Funko crap. I was already annoyed by how they try and sell you a thousand different things when all you want to is pay for a game and leave the store. Paying for anything there, even if you are the only schmuck standing in the store, is painfully slow. Discount memberships. Magazines. Insurance policies for games. Giving your phone number. Pre-ordering everything. Handing over your first born just to get a new exclusive amiibo. I taste vomit in my mouth every time I go in there. I pray for the day digital delivery takes over, and stores for games end. I think the industry knows the end of physical content is near too. That’s why the schwag is taking over the stores. That is why a new ThinkGeek is 10 paces from the GameStop in the local mall. The same Switch bundle of extra junk was being pushed in ThinkGeek too, even though they don't sell games. GameStop owns ThinkGeek. Soon the piles of plastic crap will eclipse the games. No ones going to get the tingles and line up at midnight for toys though. I continually wonder what a GameStop would look like with everything removed from the store but the game discs. No T-shirts. No toys. No backpacks. No mugs. No towers of empty Funko boxes. No action figures. No statues. No magazines. No Pokémon cards. No used Skylanders. No used Amiibos. No posters. No puzzles. No books. No employees. No display shelves filled with boxes for games that will not be out for months. I suspect the game discs they sell would fill a single bankers box, maybe. And I suspect they know this too. Don't even get me started on the money they offer for used games. I would throw my games away before helping them. What they pay is so painfully low that you are essentially giving them your games. Donating them to a local library would make more sense and might save you money in taxes at the end of the year. Give them to a friend. Give them to a kid. Give them to anyone but GameStop. If you want a Nintendo Switch, just wait. The real world release date will come soon. You’ll walk into a Target, Best Buy, or Toys R Us and there will be a bunch of them sitting there. You’ll buy it. You’ll take it home. You’ll play Zelda. You’ll be happy. And you’ll have avoided much nonsense.